Check out this favourite among our homemade Christmas decorations if your kids enjoy a jigsaw puzzle. This is a Christmas craft for children that you could do as a family - why not make 5 or 6 of them and hang them on your tree? 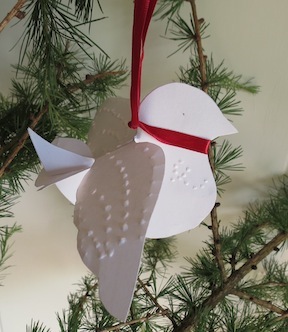 Below you'll find simple step-by-step instructions for how to make this pretty hanging Christmas dove including the templates that you will need. 1. 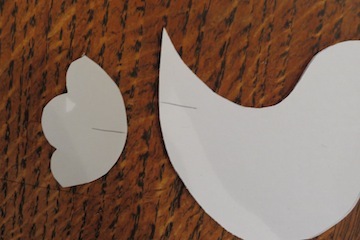 Print out the templates and cut them out of white card. You will need two wings, two bird bodies (they're going to be stuck together) and one tail. 2. 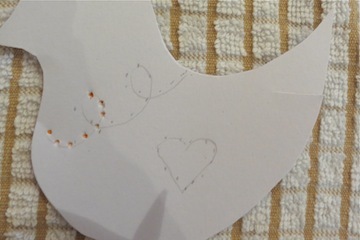 Make a small cut 2.5cm long in the middle of the separate tail, and in exactly the same place on the tail of the two birds (hold the bodies together when you cut). 3. Lay a tea-towel folded double on the table. 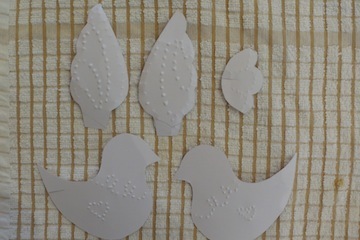 With a pencil mark some decorations on the birds sides that will glued together. 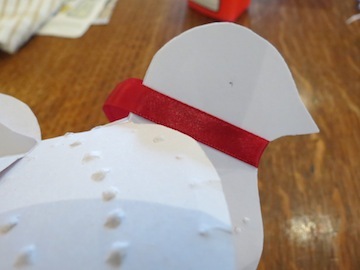 Take a sharp pencil and "stab" little holes along the pattens. 4. 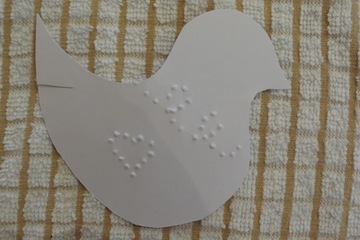 Turn the bird bodies over and you will see your decorations taking shape! 5. 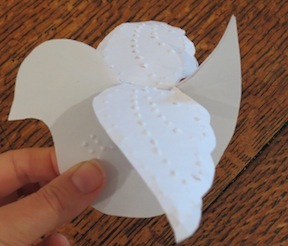 Do the same thing on one side of the wings and one side of the tail. You will see the "stab" marks, when turned over, come through as decorative "bumps". 6. Put some blue on the tab on the back side of both wings. 7. 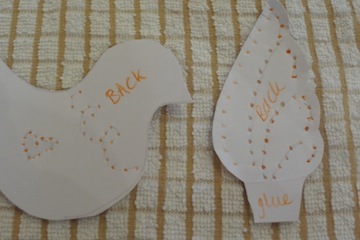 Glue the wings to the back side of the birds as shown in the picture. 8. 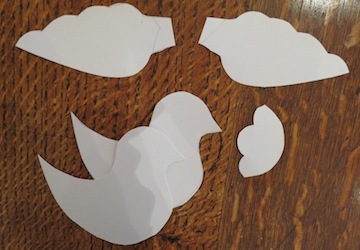 Stick the two backsides of the birds together so that the decorative sides both face outwards. 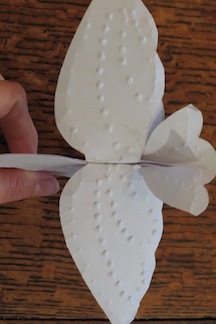 Position the wings so that they bend slightly downwards. 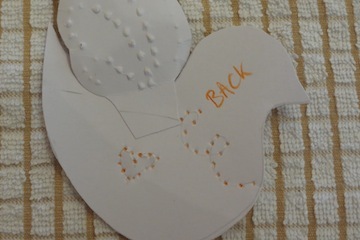 Slot the tail into the incision at the rear of the bird. 9. Paint some glue on both side of the bird's neck. 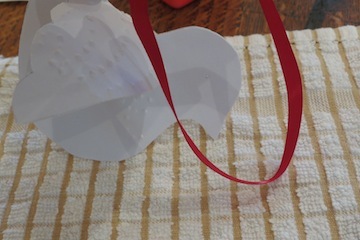 Fold the ribbon in half, loop it round the neck and and make it stick to the glue. The bird now has a red collar. 10. Finally, tie the ribbon ends together at the birds neck and also tie the top ends of the ribbon so it can be hung.